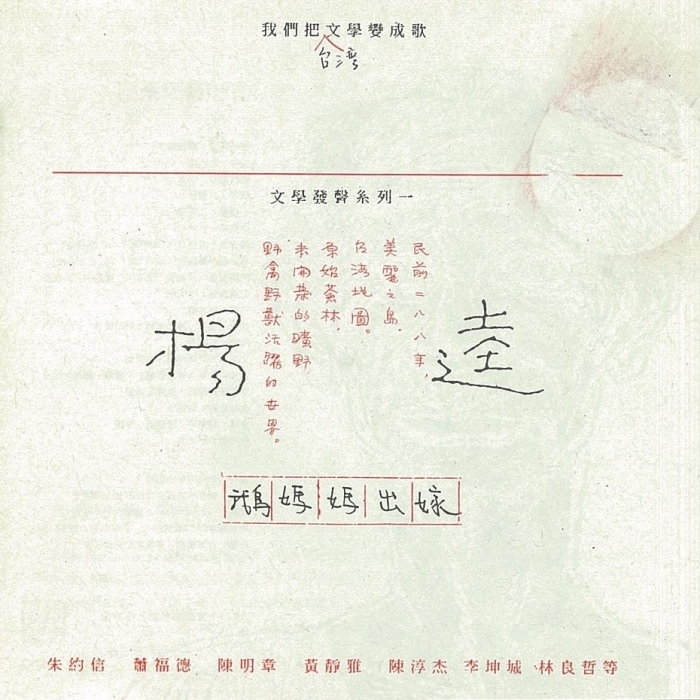 Armed Forces Network Taiwan (美軍電台) became the source of information for Taiwanese educated youth during the post war period. Besides the commercially successful music made by Elvis Presley and the early Beatles, there was also music from artists like Pete Seeger, Bob Dylan, and Joan Baez. On the other hand, when the anti-Vietnam war protests reached its peak in 1967, Taiwanese musicologists Hsu Tsang-Houei (許常惠) and Shih Wei-Liang (史惟亮) were inspired by the Hungarian Nationalist composer Bartók Béla and then activated the “Folk Song Collecting Movement” (民歌採集運動). They divided into two field research groups, one handled the east side of Taiwan and the other handled the west, hoping to find the traditional music culture that belongs to local Taiwan. They had visited Hoklo, Hakka and indigenous tribes, and then presented their findings through music recordings. Just like the American Folklorist John Lomax who discovered Lead Belly, the group Hsu Tsang-Houei led accidentally discovered folk singer Chen Da (陳達) in Hengchun (恆春). The Hengchun legend soon became a household name by singing “Begin to Think” (思想起)with yueqin (月琴). Many folk singers of “Tamkang – Xiachiao (China Tide) line of movement" (淡江——《夏潮》路線), including Li Shuang Ze (李雙澤) and Yang Tsu Chuen(楊祖珺), were inspired by Chen Da, and then gave rise to the idea of “Sing our own songs”. In the 1970s, the rather turbulent times in Taiwan’s history, a series of diplomatic crisis evoked the patriotic spirit in people. To the youngsters who loved music, the best emotional outlet was to grab a guitar and sing. Some of them even hoped to become the next Bob Dylan or Joan Baez,. As a result, these youngsters later advocated the concept of “sing our own songs”. At that time, radio programs still had a strong social impact. 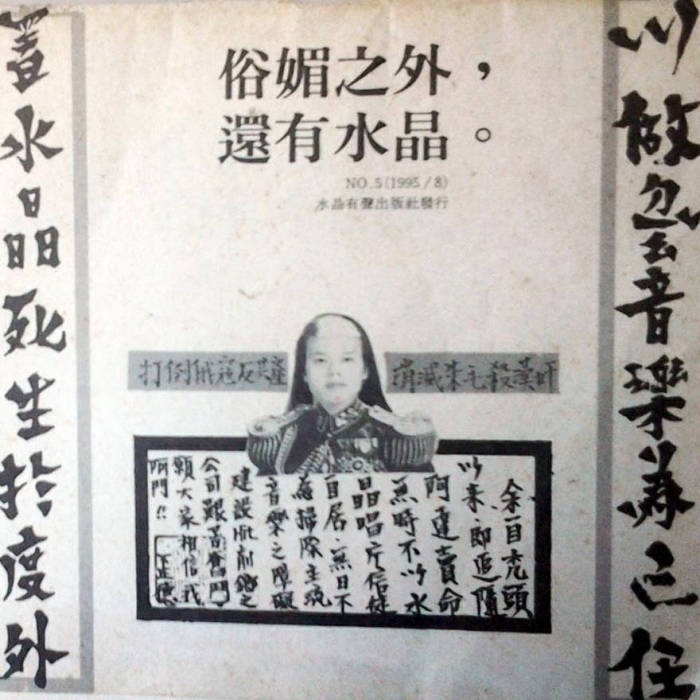 Eastern and Western Folk Songs (中西民歌), the radio program hosted by the “Mother of Taiwanese Folk Songs” Tao Hsiao Ching (陶曉清), was a very important way for people to gain music information. She would play the original songs sent from her audience very often, and therefore became a platform for student singers to expose their originals. This Radio show together with the increase of folk song restaurants (restaurants with live performances, usually of folk songs) had helped accelerate the popularity of “campus folk songs”. In 1975, Yang Xian (楊弦) and Ara Kimbo (胡德夫) performed songs that were adapted from the poems of poet Yu Kwang Chung (余光中) and officially kicked off the era of Taiwanese Campus Folk Songs. Record labels and television companies started to hold singing competitions. From Golden Rhythm Awards (金韻獎) to Min Yao Feng (民謠風) and then to Da Xue Cheng (大學城), the mania even went across the sea to influent the birth of the so-called Xinyao (新謠), the Singapore Chinese folk songs. The music of Campus Folk Songs is simple and down-to-earth while the lyrics are artistic and romantic. You’d be able to find these elements in songs like “Formosa” (美麗島), written by the late Li Shuang Ze; the very nationalistic “Descendants of the Dragon” (龍的傳人); the romantic and sentimental “Just Like Your Tenderness” (恰似你的溫柔), and “Yueqin” (月琴), the one that praises singer Chen Da. Because of their popularity and catchiness, many Taiwanese folks are able to sing these songs. In addition, the Campus Folk Movement even boosted the overall development of Taiwanese pop music industry, giving birth to numerous talented pop musicians such as Jonathan Lee (李宗盛), Angus Tung (童安格) and Kay Huang (黃韻玲) and carrying on the spirit of the folk song movement. "Feeling Young", a campus folk song performed by Da Xue Cheng competitors. Campus Folk Songs were mostly sung in Mandarin while the so-called “New Hokkien Songs" (新台語歌) were mostly sung in Hokkien. The creations of artists that were significantly related to Crystal Records (水晶唱片) in late 1990s such as Blacklist Studio (黑名單工作室), Chen Ming-Chang (陳明章), Lim Giong (林強) and Wubai (伍佰) were considered a reactionary move against Campus Folk Songs, reflecting the local awareness after the abolishment of martial law. Bands that rose after such as Luantan (亂彈), Mayday (五月天) and The Chairman (董事長樂團) keep on carrying the spirit of “New Hokkien Songs”. At that time, Blacklist Studio, the group with a bunch of talented underground musicians, had become a significant pioneer in the industry, trying to figure out “the future of Hokkien songs”. Their debut album Songs of Madness (抓狂歌) was considered the beginning of the “New Hokkien Songs” movement. Though the album was arranged mainly with contemporary elements like rock and rap, you can still find the admonishing spirit of Liam Kua (唸歌, a Taiwanese performance style when singers speak, rather than sing, the lyrics) within their songs. Wubai, the “King of Rock”, was also a significant artist that started out in this period. His style of rock combined genres like folk and blues. Early in Wubai’s career, he often adapted classics like “Miss Su-Lan Wants to Get Married” (素蘭小姐要出嫁), “Autumn Wind and Midnight Rain” (秋風夜雨) and “Dim Moon” (暗淡的月), bringing new lives to these Hokkien folk-pop songs. He also wrote songs full of spirit of the South such as “Big Building” (樓仔厝), “Taipei Orphan” (台北孤兒) and “Back to Hometown” (返去故鄉). Because of the marketability, New Hokkien Songs also attracted singers outside Crystal Records to participate in performing. In this period of times, also known as the “Pan New Hokkien Songs” era, there were some masterpieces you wouldn’t want to miss out – “The Stranger” (異鄉人), a Hokkien song added with fresher elements by traditional Hokkien singer Liao Jun (廖峻); “I Want to Play the Same Tune” (想要彈同調), a Taiwanese folk song covered by Feng Fei Fei (鳳飛飛), and “Native Land” (原鄉), a song Lo Ta You (羅大佑) performed and co-wrote with Li Kun Cheng (李坤城). In 1996, “Return to Innocence”, a song by German band Enigma became the theme song for Olympics. Fractions of the song were sampled without licensing from “Elders Drinking Song” (老人飲酒歌), a song sung by Difang Duana (郭英男) and his Ami Falangaw tribe members. The international law suit came after the incident made Taiwanese society pay more attention to the development of indigenous music. 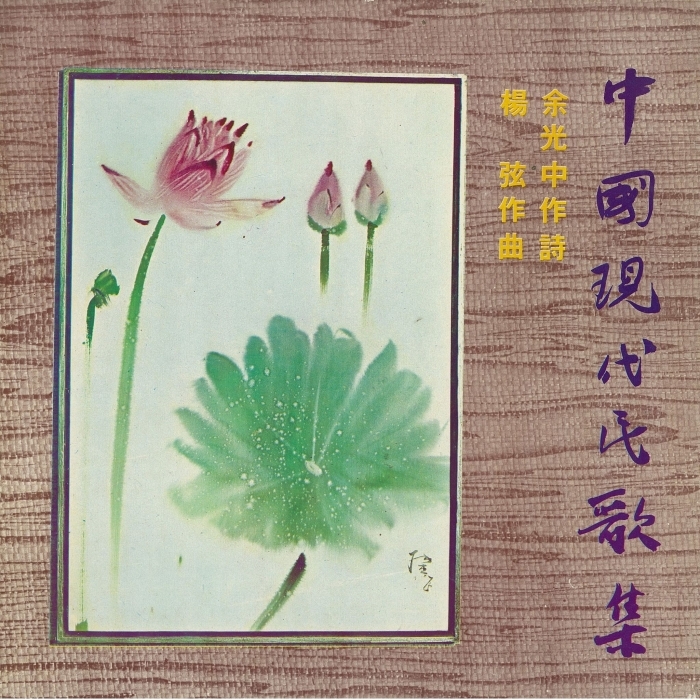 Comparing to the traditional tune Difang Duana sang, the original songs released from Taiwan Colors Music (角頭音樂) by Purdur Chen (陳建年), Panai Kusui (巴奈), Long-Ger (郭明龍) and Hao-En & Jiajia (昊恩家家) were obviously influenced by “indigenous forest labor songs (林班歌)” and Campus Folk Songs. With guitar being the main instrument, these songs were arranged in the style of folk and sung in both Mandarin and native indigenous languages. In the late 1990s, with the elements mentioned above, these songs broke into mainstream market, attracting the attention from audience in the cities. 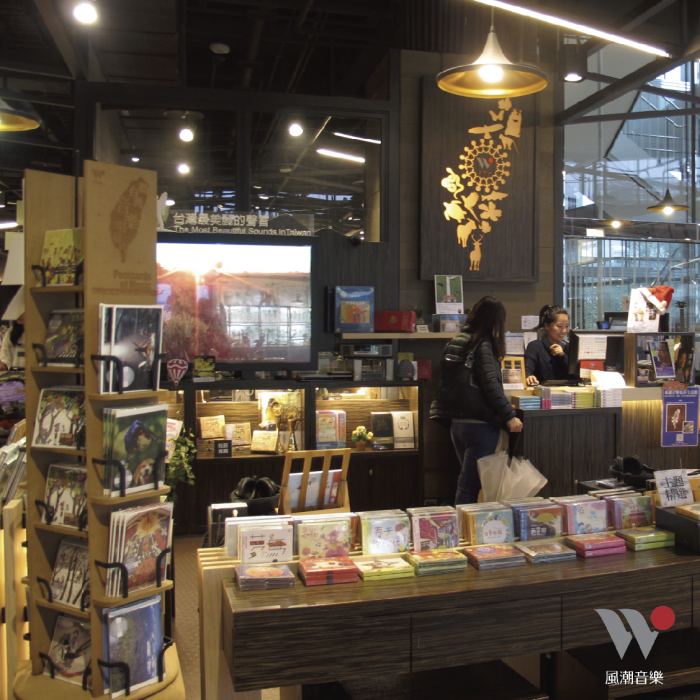 Besides Taiwan Colors Music, Wind Music (風潮音樂) has also devoted to promote indigenous music for a long time. In the 1990s, the label started to carry the spirit of the folk song collecting movement and released The Music of the Aborigines on Taiwan Island (台灣原住民音樂紀實) and Songs of Pingpu Tribes (平埔族音樂紀實), two series of recordings aiming to preserve the valuable culture of Taiwanese indigenous music. Wind Music also collaborates with numerous young indigenous singers such as Biung (王宏恩), Ilid Kaolo (以莉高露), Tai Siao-Chun (戴曉君), and Sangpuy (桑布伊), the Puyuma tribe singer started out from the music group Abomusicabo (飛魚雲豹音樂工團), giving them opportunities to explore the genre of world music. As for Hakka folk songs, developed based on Hakka hill songs, can be traced back to Not Fated (無緣), the album the guitarist of Yang Guang Choir (陽光合唱團) Wu Cheng Zhi (吳盛智) released in the 1980s. He pressed the songwriting switch of Taiwanese Hakka pop songs, but unfortunately died in a car accident at a young age. His album Not Fated was later selected as a dance score for Cloud Gate (雲門舞集). Started out from singing competition Da Xue Cheng, Hakka singers Lin Sheng Xiang (林生祥) and Hsieh Yu Wei (謝宇威) were influenced by Lo Ta You earlier in their careers. They later got influenced by Wu Cheng Zhi so that they switched their path to writing Hakka songs and changed their styles from rock to folk. And almost at the same time as the New Hokkien Songs period, Bobby Chen (陳昇) formed a band called New Formosa Band (新寶島康樂隊) with Hakka singer Ayugo Huang (黃連煜). Their Hokkien-Hakka crossover brought freshness to their music, allowing Hakka music to receive more attention from the mainstream music. However, it was not until 1997 that the first major label original Hakka album - Who Is Singing the Hill Song? (係，麼人佇，唱山歌) by Yen Chi Wen (顏志文) was released. In 2003, Golden Melody Awards added a new award category called “Best Hakka Singer” which was won by Liu Shao Xi (劉劭希) with his album YAFUNK (野放客) that combined Hakka hill songs with western pop music elements. Following the changes above, many talented Hakka singers such as Lo Si Rong (羅思容)、Misa (米莎)、Huang Wei Jie (黃瑋傑)、Huang Zi Xuan(黃子軒) started to build their career one after another. "Sunrise" is a single released in 2006 by New Formosa Band, whose original members were of Hokkien and Hakka ancestries respectively. 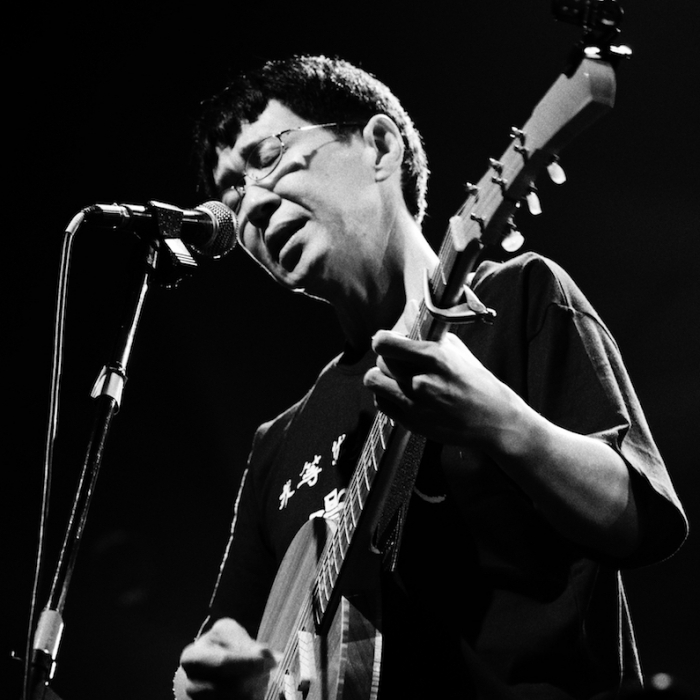 Cheer Chen, one of the featuring artists of the early urban indie folk that rose up around 2000, was then under Magic Stone Records (魔岩唱片), the label that contributed a lot to the making of the New Hokkien Songs. Other significant artists include Sandee Chan (陳珊妮) Ze’ Huang (黃小楨) from Friendly Dog Entertainment (友善的狗) and the later ones who stand out from a great crowd of indie bands such as Deserts Chang (張懸), Crowd Lu (盧廣仲), and Dadado Huang (黃玠). Though these musicians wrote on acoustic guitar, with the input from professional producers, their music has elements like British rock and electronic music, sounding more than pure folk. They wrote mostly about personal life, instead of criticism toward the society. Their music styles clicked with Simple Life (簡單生活節), a festival that started in 2006 with the vision of “Do what we like and bring value to it”. This style of music soon be classified as “Xiao Qing Xin”, meaning the sweet, fresh, and soothing indie folk, and the relatable context has always been able to draw huge support from youngsters. 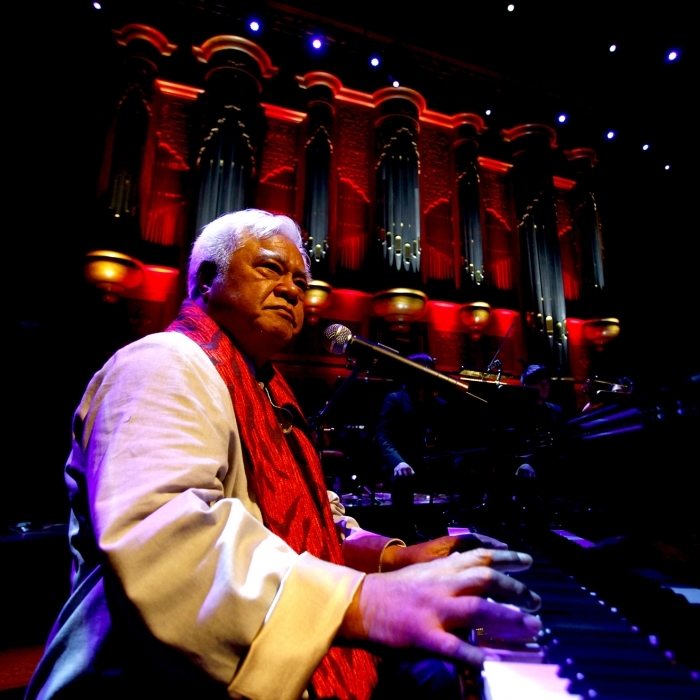 Indigenous singer Ara Kimbo (胡德夫) is proficient at playing the piano. He started out from the Campus Folk Song period, and has been active till present. He is even hailed as the “Father of folk songs”. You can see him perform in many occasions like in Simple Life now that indigenous music has become popular since the millennium. However, his debut album In a Flash (匆匆) didn’t release until he was 55. The album includes “Dawu Mountain, Our Beautiful Mother” (大武山美麗的媽媽), a very catchy and popular song that talks about the serious indigenous child prostitution issue at the time. Featuring spiritual piano sounds and soothing vocal that sings with conscientiousness, this song always moves audience to tears. Chen Ming Chang (陳明章) is titled as “ the last legend of Taiwanese folk songs”. 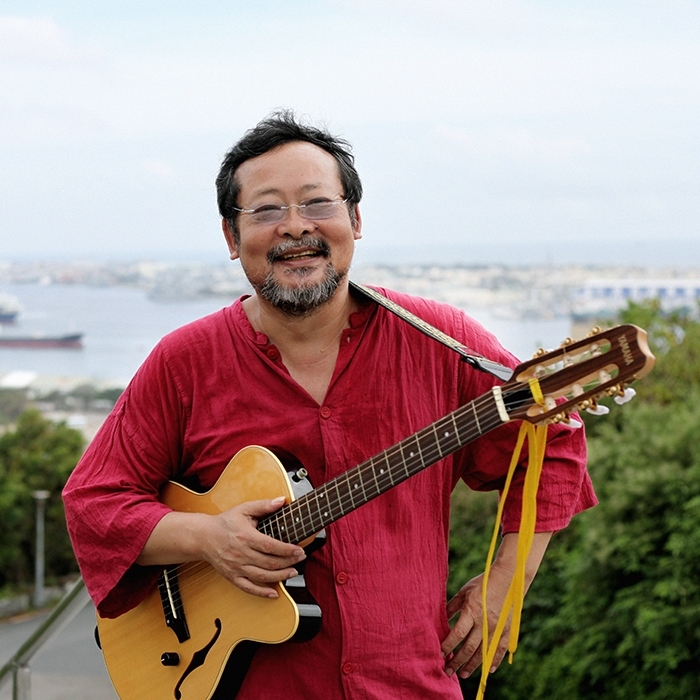 He was influenced by the wave of Campus Folk Songs earlier in his career, and later felt inspired by the music of folk legend Chen Da, leading him to start thinking about the issues of music localization. He made his breakthrough by composing film score for the movie Dust in the Wind (戀戀風塵), and had once been a member of Blacklist Studio. His official debut album An Afternoon Drama (下午的一齣戲) perfectly combined traditional Hokkien folk with pop music elements, making this album a significant project in “New Hokkien Songs” period. Lin Sheng Xiang (林生祥) has become an icon for Hakka singers nowadays. He founded a band called Kuan-tsu Music Pit (觀子音樂坑) when he was in college, and after graduation, he went back to his hometown to form Labor Exchange Band (交工樂隊). The band’s two albums Let Us Sing Mountain Songs (我等就來唱山歌) and The Night March of the Chrysanthemums (菊花夜行軍) both earned them Golden Melody Awards. After the split of Labor Exchange Band, Lin Sheng Xian started to pursuit his solo career. In recent years, he started to perform as Sheng-Xiang & Band (生祥樂隊), the band he formed with musicians such as Chung Yung Feng (鍾永豐), Ken Ohtake (大竹研), and Toru Hayakawa (早川徹). I-Village (我庄) and Village Besieged (圍庄), the albums the band released one after the other, featured elements such as Hakka eight-tone music (客家八音) and folk rock and still received praises from the industry. Been in the industry for over 20 years, Panai Kusui (巴奈) actually started out performing in restaurants. 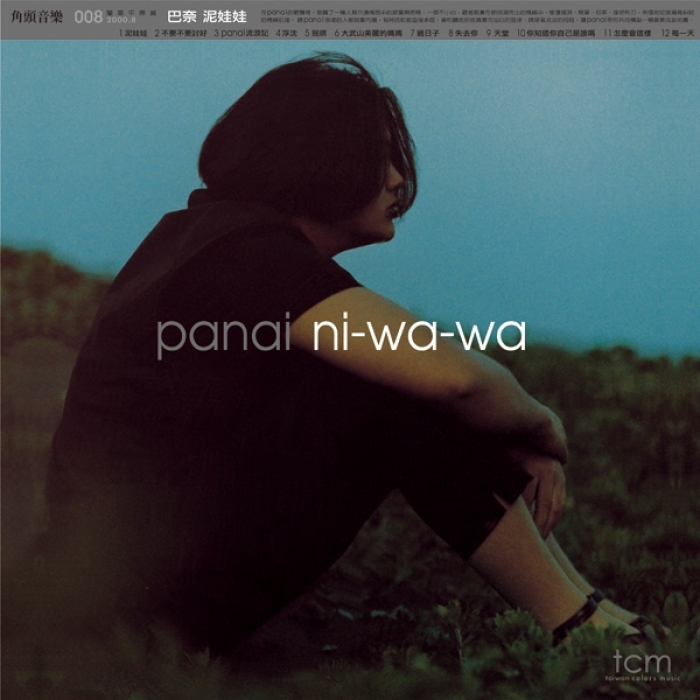 Her debut album Ni-Wa-Wa (泥娃娃) and live album Pau-dull & Panai Unplugged Live (勇士與稻穗) were released under Taiwan Colors Music while A Piece of Blue (停在那片藍) was self-released. She pays a lot of attention to issues like human rights for indigenous people and ownerships of land. 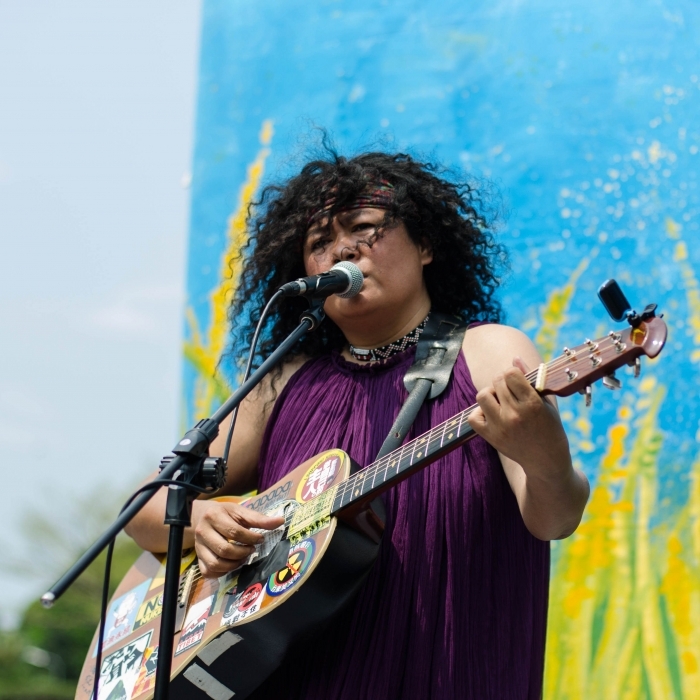 She carries the spirit of folk songs and the influences of indigenous forest labor songs, and sings the life and encounter of indigenous people as Taiwan entering into modern society. Having trained in musically gifted class when she was little, Cheer Chen started out from folk song competitions. 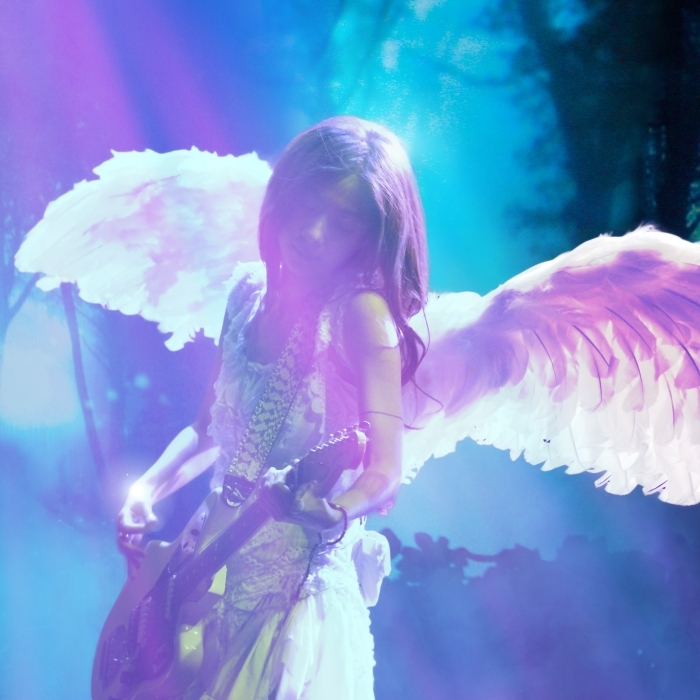 She formed a band called Suncreen (防曬油樂團) to play at the then Formoz Festival (野台開唱) before she was signed to Magic Stone Music where she released her debut album Think Twice (讓我想一想). After that, she signed with Team Ear Music to keep pursuing her solo career. Ever since she started, she has accumulated an amount of fans from Mainland China, Hong Kong and Taiwan and the quality of her music has remained at a high level after all these years. With her warm and friendly vocal, she is no doubt a significant artist of the “Xiao Qing Xin” style. With the vision of “making words and poems flow musically” in mind, Yang Xian (楊弦) composed melodies to 9 poems of poet Yu Kwang Chung (余光中) and released Modern Chinese Ballads (中國現代民歌集), kicking off the campus folk movement. The music combined eastern styles with western, bringing new possibilities to folk songwriting. Therefore, the album became very popular that 10,000 first edition copies were sold out within the first three months of the release. Yang Gui (楊貴), known professionally as Yang Kui (楊逵), is a left-wing writer in the period of Japanese colonization and one of the most important advocators for “New Taiwanese Literature (台灣新文學)”. His writings have the similar power as folk music that they speak for the underprivileged. Crystal Records released a compilation called Yang Kui – Mother Goose Gets Married (楊逵：鵝媽媽出嫁) as a tribute to him and his contribution to Taiwanese people. The words of Yang Kui were adapted with beautiful melodies by talented composers such as Jutoupi (豬頭皮), Huang Ching Ya (黃靜雅) and Cheng Ming Chang, creating a classic music literature crossover. Being signed by record label when she was only 20, the indigenous singer Panai Kusui didn’t released her debut album until she was 31. The long-awaited album Ni-Wa-Wa (泥娃娃) included a cover of Ara Kimbo’s “Dawu Mountain, Our Beautiful Mother”, and original songs such as “Do You Know Who You Are” (你知道你自己是誰嗎) and “Wandering” (流浪記). These self-examining and brilliant originals not merely carried the traditions of “indigenous forest labor songs”, they also depicted the characteristics of modern society. 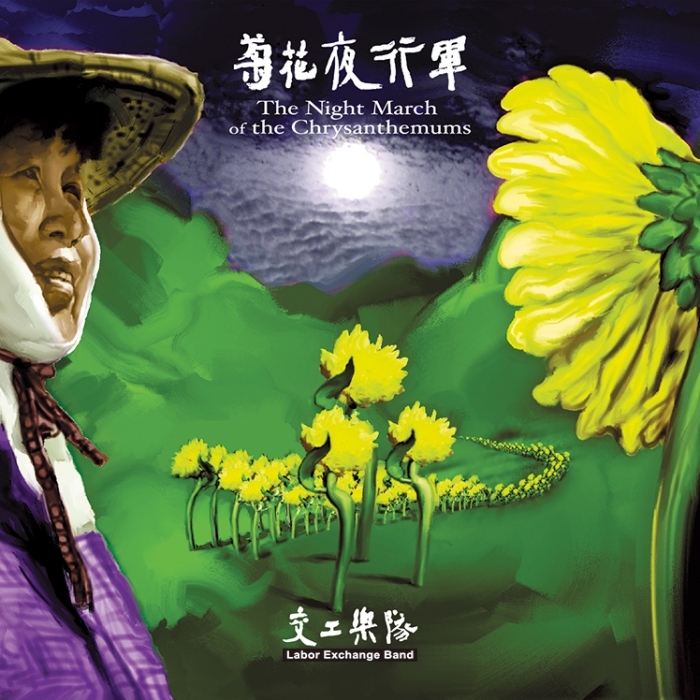 Being able to connect music with the real world is the main spirit of folk songs, and The Night March of the Chrysanthemums (菊花夜行軍), the album of Labor Exchange Band, had successfully achieved this goal. The theme of the album covered issues such as “challenge of globalization to agriculture”, “urbanization and mental health”, “generation gaps”, “labor shortage in the countryside” and “denizened spouses”, reflecting the changes that have happened for the last ten years in the city and countryside. Besides using general rock band arrangements, the album also featured many traditional instruments elements. 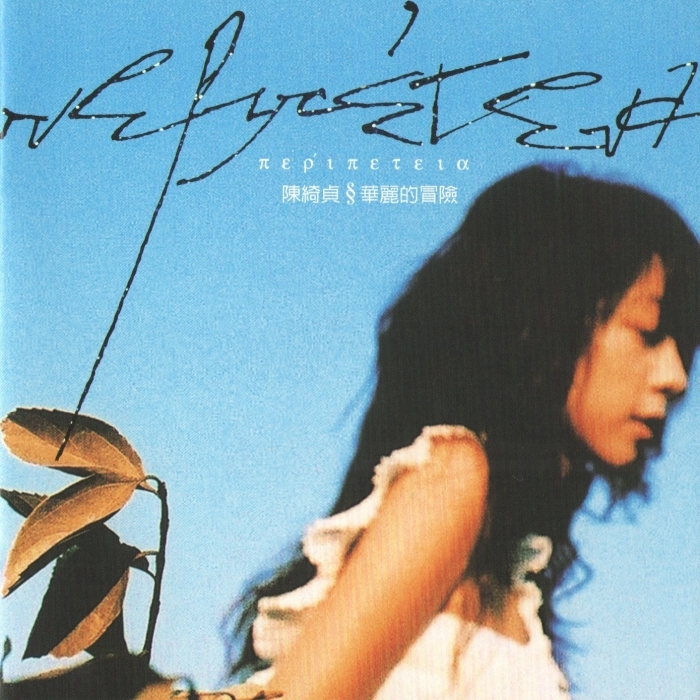 Cheer Chen had left major label while she released her fourth album Peripeteia (華麗的冒險). The album was produced independently by Tiger Chung (鍾成虎) in Zoo Studio and it’s also the one that included the Xiao Qing Xin anthem “Travel Is Meaningful” (旅行的意義). The album was recognized on the list of the top 10 albums picked by The Association of Music Workers in Taiwan (中華音樂人交流協會), and nominated for numerous Golden Melody Awards, earning Chung the Producer of the Year award and making Chen a hotshot in both mainstream and indie music. In 1980s, Crystal Records (水晶唱片) started out selling bootlegged records. 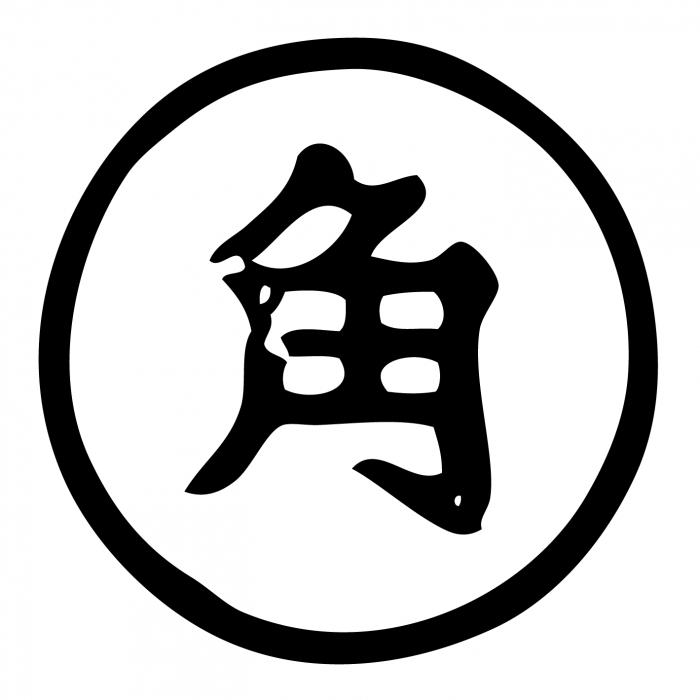 When being taken over by Jen Chiang Ta (任將達), the label published the Rocker monthly magazine (搖滾客), aiming to share a great amount of non-mainstream music to Taiwanese audience. Later, it even held Taipei New Music Seminar (台北新音樂節) and founded music production company, producing symbolic artists of “New Hokkien Songs” such as Black Studio, Cheng Ming Chang, Wubai and Jutoupi. In addition, Crystal Records had also released folk fields recordings and the works of indie bands in early days. However, it’s pitiful that the label shut down in 2006. Established in 1988, not long after the abolishment of martial law, Wind Music (風潮音樂) started out by releasing Buddhist music. Later, the label devoted to preserve and promote local music and had released albums such as The Music of the Aborigines on Taiwan Island (台灣原住民音樂紀實) and Songs of Pingpu Tribes (平埔族音樂紀實) series. It had also put a lot of effort into promoting local musicians, allowing the audience to know the beauty of local Taiwanese folk songs. In recent years, the label has started holding world music festival, aiming to bring talented Taiwanese world music musicians onto international stages. Taiwan Colors Music (角頭音樂) released its first album - Taiwan Independent Compilation (ㄞ國歌曲) in 1999. The album included songs from Mayday, The Chairman and also “Ocean” (海洋) by Golden Melody Awards winning singer Purdur Chen. The label has also held the Ho-Hai-Yan Gongliao Rock Festival (貢寮海洋音樂祭), discovering outstanding indie artists of the new generation such as Sodagreen (蘇打綠), Deserts Chang, and Totem (圖騰樂團). These bands they discovered had written a bunch of modern pop and folk classics that loved by the youngsters. 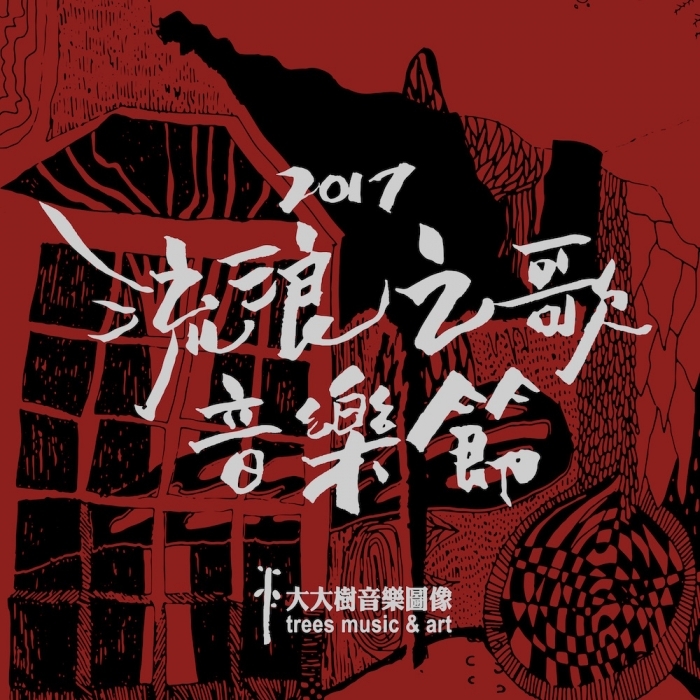 Founded in 1993, Trees Music & Arts (大大樹音樂圖像) has been working to cultivate folk and grass roots music. Carrying the spirit of left-wing folk songs, the label has released albums about social idealism by Yang Tsu Chuen (楊祖珺)、Blackbird (黑鳥) and New Labor Art Troupe (打工青年藝術團). The label has held an event called Migration Music Festival (流浪之歌音樂節), inviting talented musicians from around the world to come exchange. 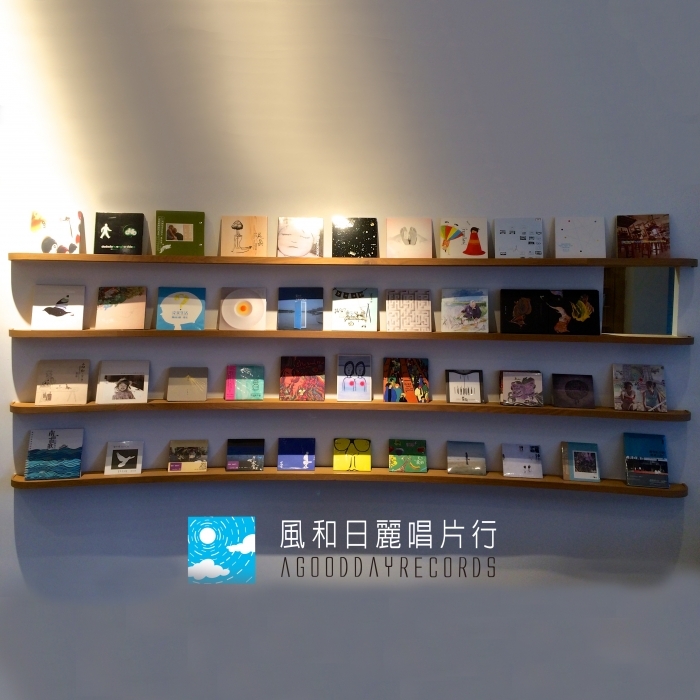 Founded in 2003, A Good Day Records (風和日麗唱片行) has been a symbolic label for Taiwanese urban folk songs and has always been able to come up with interesting marcom. From importing indie music from Europe and America to releasing albums by local artists such as Nature Q (自然捲), 929 (929樂團) and Dadado Huang, the label has always been able to create an artsy style that’s different from mainstream music, drawing much attention from audience like students and office workers. Yujung Wang & TIMEr - Let's Dance! Taiwan Beats is a platform set to promote pop music of Taiwan origin over the internet. The purpose of it is to let people worldwide know Taiwan’s pop music and love it. Copyright © 2017 Taiwan Beats. For best results, please use IE9+ or other browser.